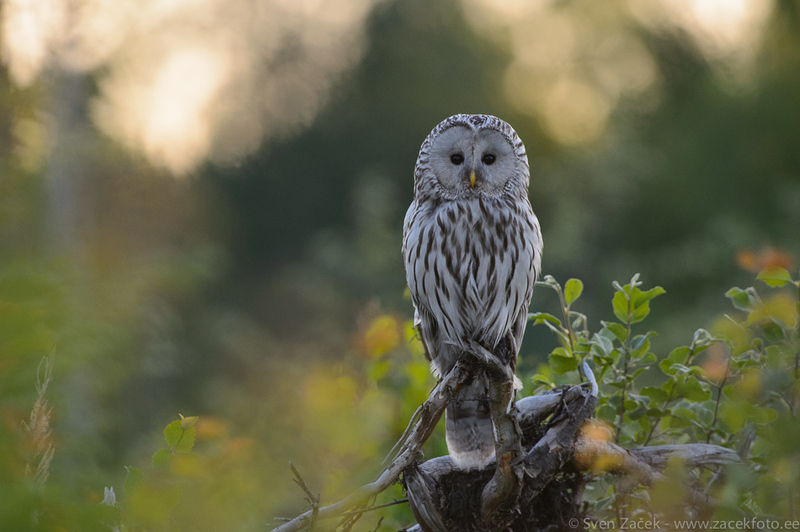 2013 was not the best year of Estonian owls, with winter lasting until the third decade of April it made nesting possibilities very difficult to find. My pair moved out of the forest to a clear-cut area, because their nest was under a thick blanket of snow in the forest. Out in the open there was still a lot of snow on the ground, but broken tree tops were clear. Such an unusual situation prompted a conservative approach, which in owl language means only one nestling. For the parents this is easy, for the photographer not very interesting, because there is not a lot of activity. This is a photo of a proud mother from the day the only nestling left the nest and attempted to climb a nearby Aspen tree. We both watched and hoped that despite several fall the young one will make it. It did. Photo info - Spring: : Nikon D4 + Nikkor 300mm F2,8 VRII + Nikkor TC-20EIII. F5,6, 1/640, ISO 1600. Even though I hadn't the chance to watch this beautifull howls yet, I'm already enlove with it! Mainly because of you!! Your articles in National Geographic, your peseverance on capturing this creatures is inspiring! Thank you!